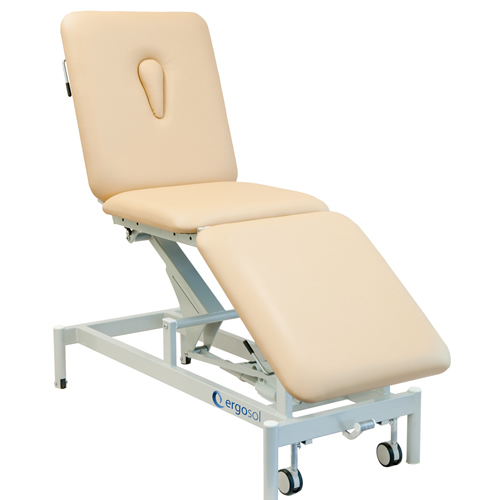 The Fusion Range of Variable Height couches has been designed to be aesthetically pleasing whilst offering a truly stable consultation/treatment solution. 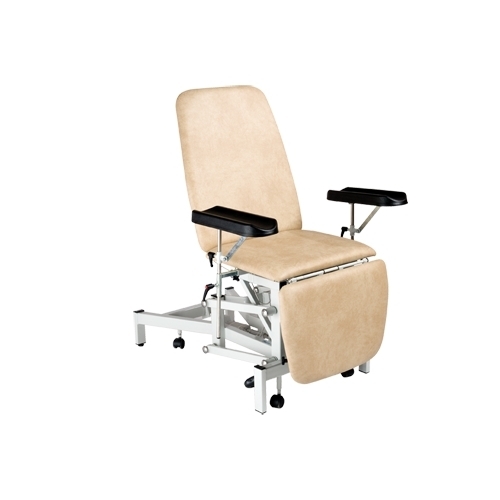 The design features an attractive titanium finish frame and contoured luxury upholstery with anti-bacterial additives helping to reduce MRSA and other bacteria. 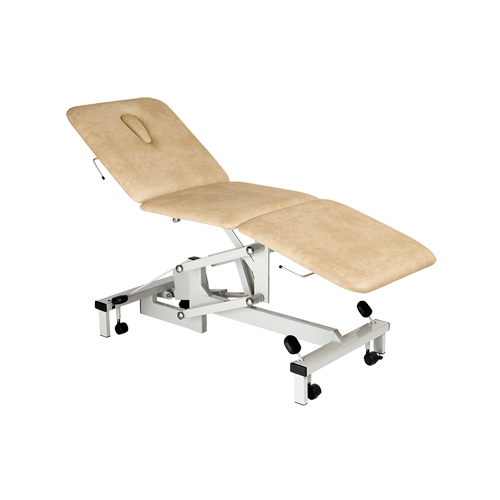 Ultraplinth unique guarantee is for a LIFETIME on the mechanism and UNCONDITIONAL for 3 years on all components excluding upholstery. This even applies to accidental damage. 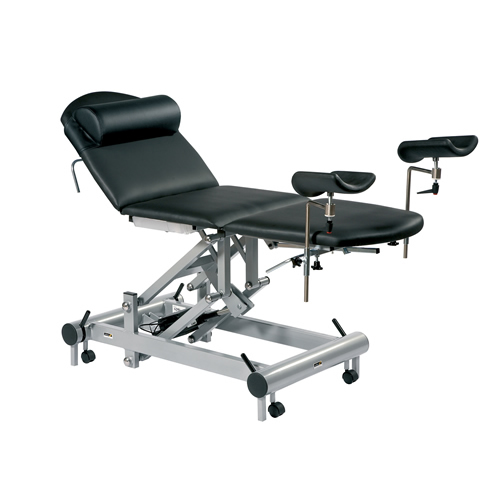 Can also be used for general examination. 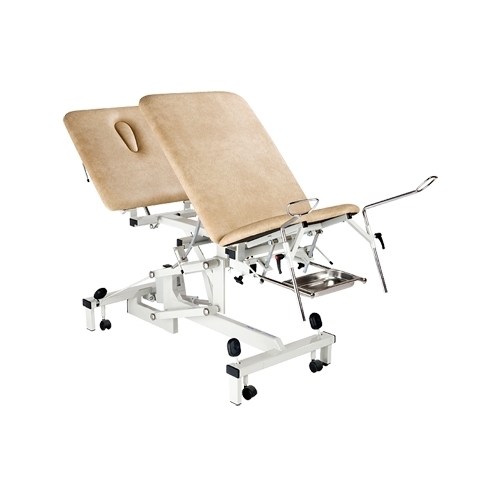 The addition of some basic accessories can expand its use to a competent operating/recovery table for minor procedures. 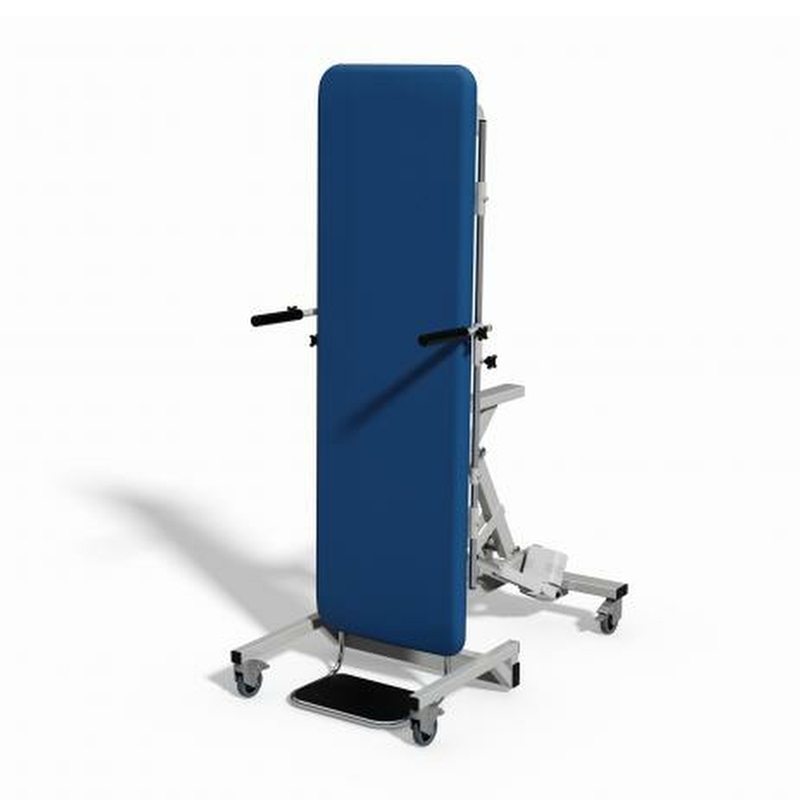 Strong rigid frame for continous use. 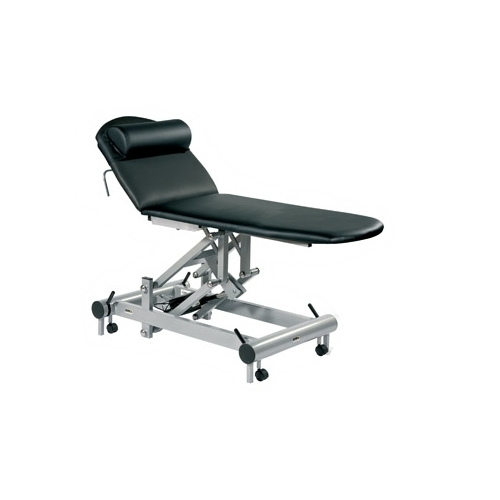 We offer two kinds of ambla vinyl, both fully washable and fire retardant to BS5852 part 2. 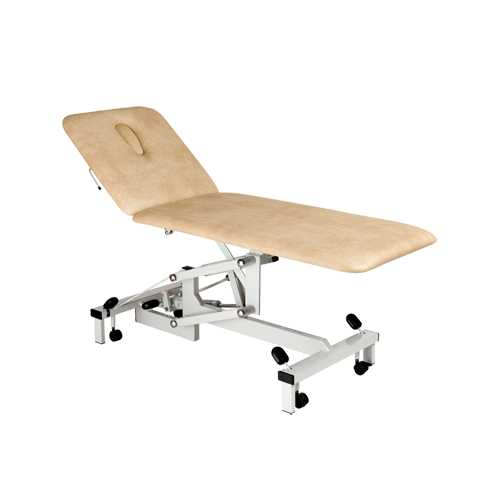 • The Standard leather grain vinyl is very stain resistant and dries quickly after washing and is available in beige, light blue, mid blue, dark blue, grey, green or black. Many other colours are available at the standard price, please ask for sample swatch. • The new non-slip covering feels warmer in winter and cooler in summer. It grips paper towels or covers well and is very comfortable. It does however, take a few minutes longer to dry when washed, and is slightly more prone to staining. 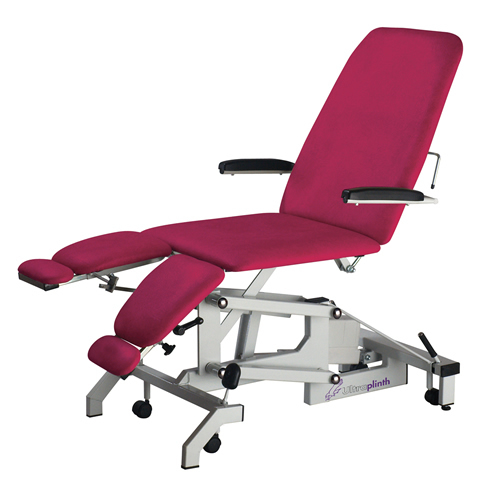 This is available in soft blue, green or plum. • These vinyls are NaDCC compatible and suitable for cleaning and disinfecting with products such as “Presept” and “Haz Tabs”. 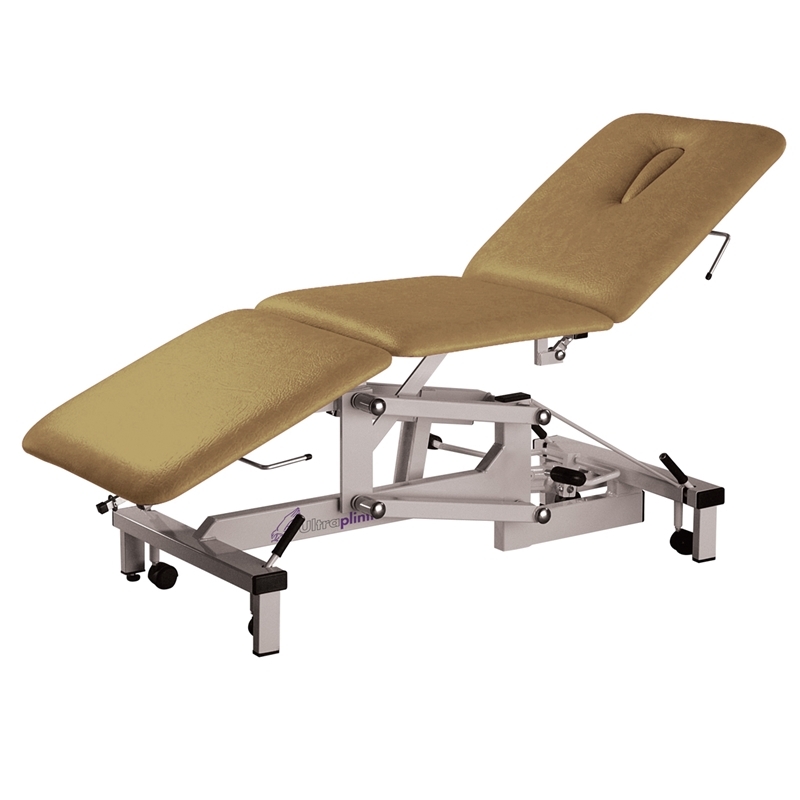 • Antimicrobial vinyl; proved effective at inhibiting the growth of fungi and bacteria (including E-Coli and the most harmful Staphylococcus Aureus - MRSA variants), reducing the risk of cross-contamination. This benefit compliments correct cleaning practices and is active for the life of the product. 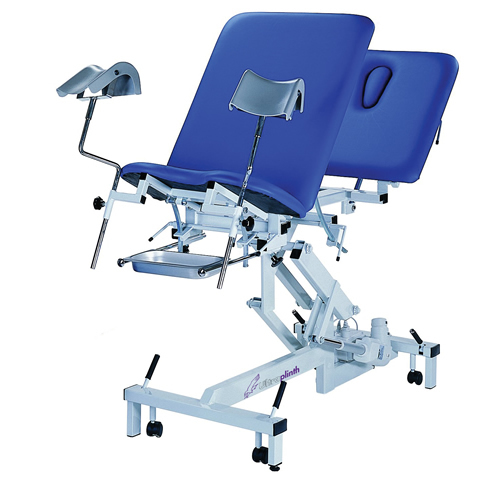 Phlebotomy chair supplied with adjustable arms. 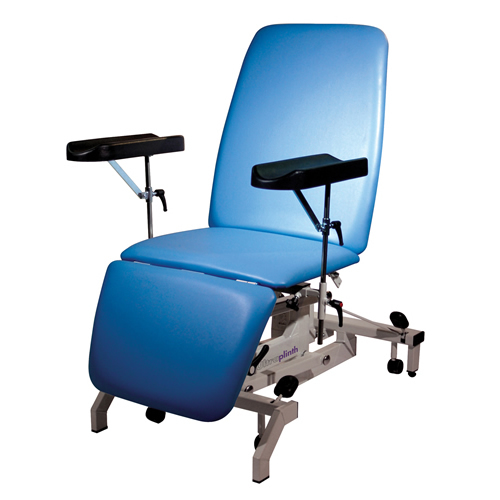 This short seat chair offers excellent patient comfort and access with the leg folding to 90 degrees. 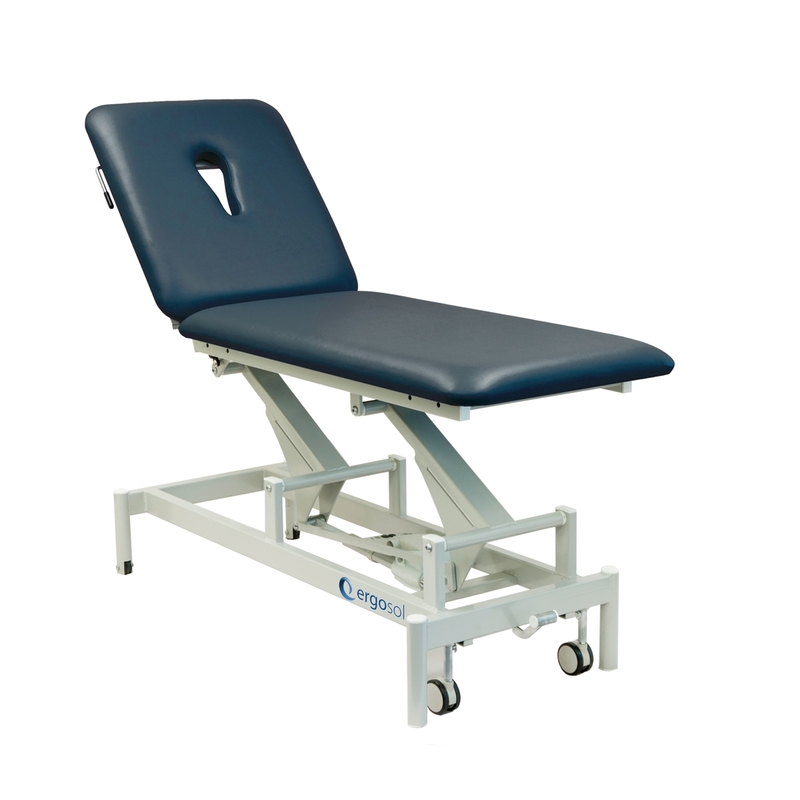 Ideal for use within phlebotomy departments or GP surgeries. Treatment chairs with 90 degree drop leg rests. 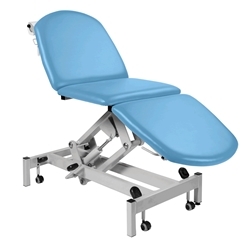 These chairs are ideally suited for podiatry use, and for treatment rooms within a general practice allowing particularly good access for the patient and are also suitable for gynae procedures. 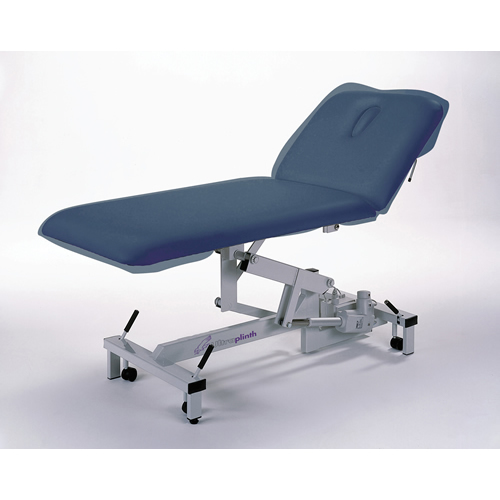 Lowering to just wheelchair height and featuring electric height and tilt, large toe braked castors, adjustable harnesses and crutch handles, this tilt table also has four button hand control permitting simultaneous control and fine adjustment of both height and tilt functions.